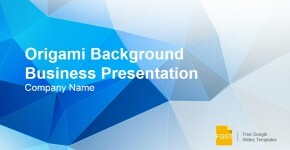 Modern presentation tools are being adopting the new standard for presentations using 16:9 aspect ratio. 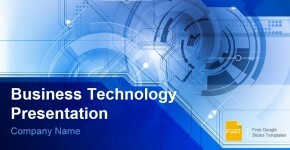 This aspect ratio is now used to publish presentations online and supported by some modern projectors as well. 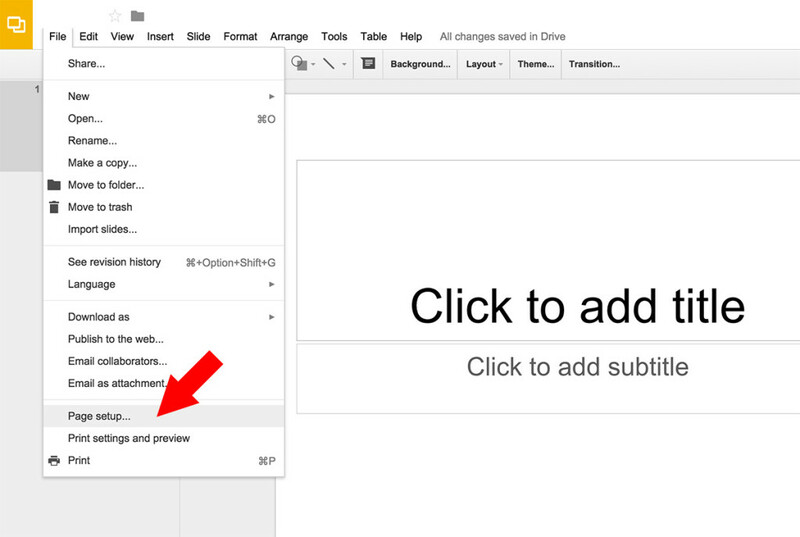 However, you can change the slides size if you need to prepare your Google Slides for the old 4:3 aspect ratio or need to define a custom size for your slides. 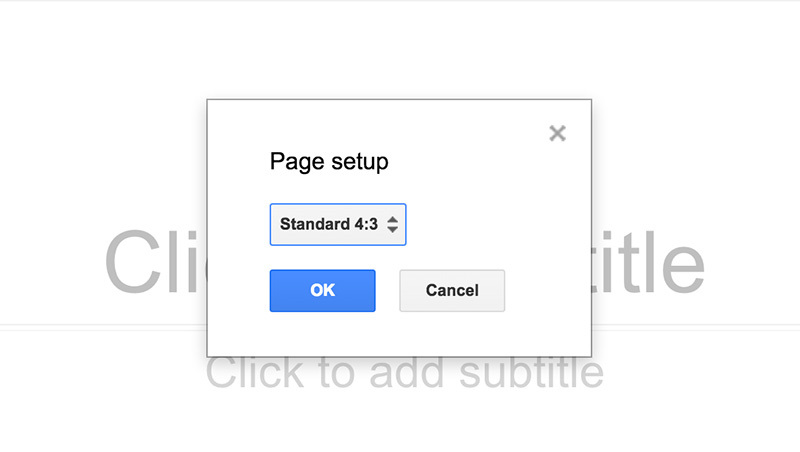 To change the Google Slides presentation aspect ratio, go to File -> Page Setup and then choose the new aspect ratio or page size. If the new size is not in the list, then you can define a custom size by entering the slide dimension (height and width values) and then selecting the units (inches, centimeters, points or pixels). The following page sizes are already pre-defined in Google Slides. This feature is very useful if you need to change the presentation size or a new Google Slides theme when presenting or optimizing it for the presentation room and projector or to host the presentation online in services such as SlideShare, SlideOnline or YouTube. You may also require to change the aspect ratio if you are preparing a poster presentation, a flyer or any other printable material that requires to adjust the document to the printer size.